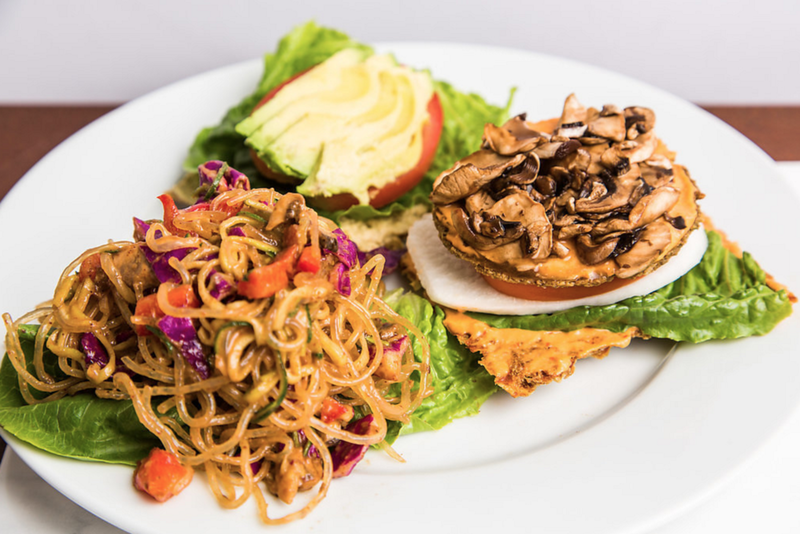 VEGGOS is a healthy food restaurant serving fresh vegan and raw vegan meals, desserts & drinks. Onion Bread now available online! Our mostly raw vegan recipes have a positive effect on the body, mind, and spirit, and are nutritious as well as delicious. We take pride in using local produce when available. Most of our items are made or mixed with nuts. Please let your server know of any food allergies. Please check our website or Facebook for seasonal specials. We are temporarily changing our hours to accommodate our production, eCommerce and product demo schedule. If you would like to stop by, CALL to confirm that we will be available, or make a reservation. We don’t want to miss you. Grab and go is available M-F if you CALL first. Our Fresh and Delicious, Crispy Onion Flat Bread is now available on the VEGGOS Store, along with another crowd favorite, Delicious Soup and Salad Crumbles. Dress up your Dishes! Okay to to stop by for grab and go when closed if you CALL First! A must-have for every visit!